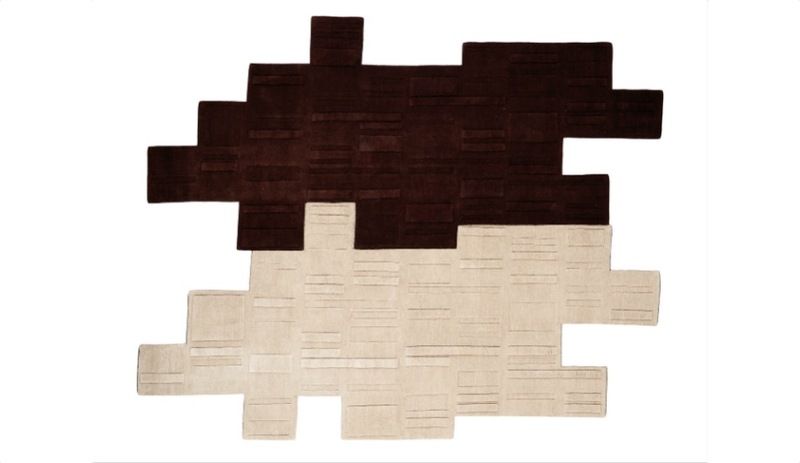 These rugs, from Inigo Elizalde, Nanimarquina, Ruckstuhl and more, insert a bold, graphic punch into any interior. 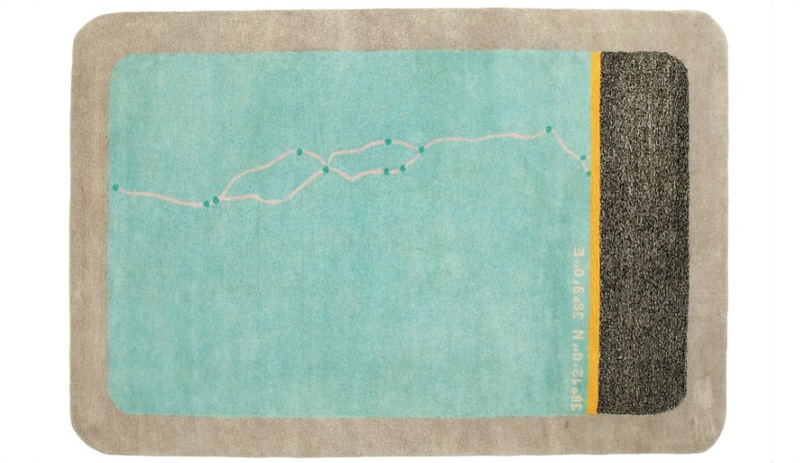 In this futuristic-looking carpet by fashion designer Hussein Chalayan, the stripe of fuzzy black dots represents television static, while, against the aqua background, the sketchy pink lines punctuated with green dots stand in for the historic Silk Route and the major cities situated along it. 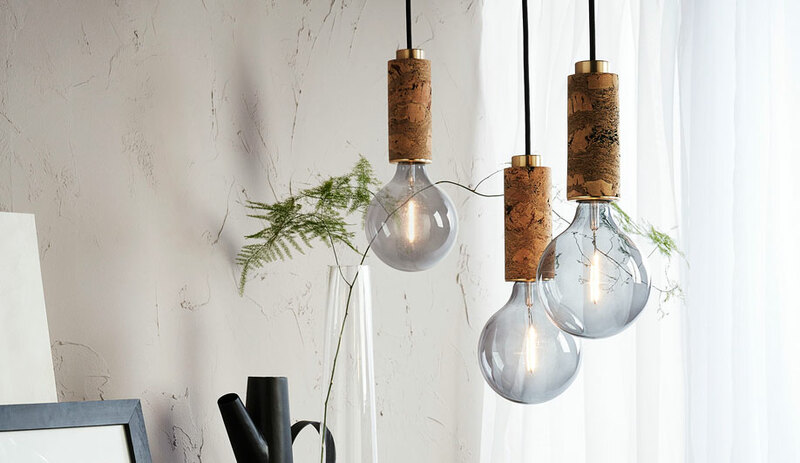 It’s available in six sizes, up to 2.7 by 4 metres. 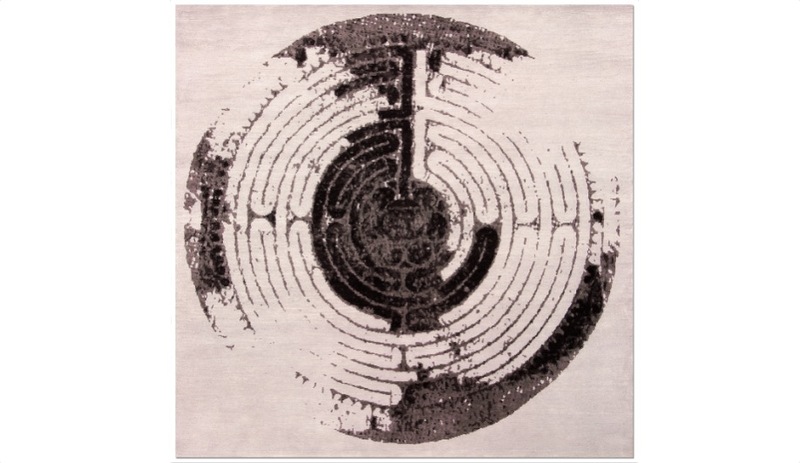 This rug presents an abstract image of the Arena of Nîmes, an ancient Roman ampitheatre in the south of France. It comes in an earthy palette of chocolate and sand, in five sizes. 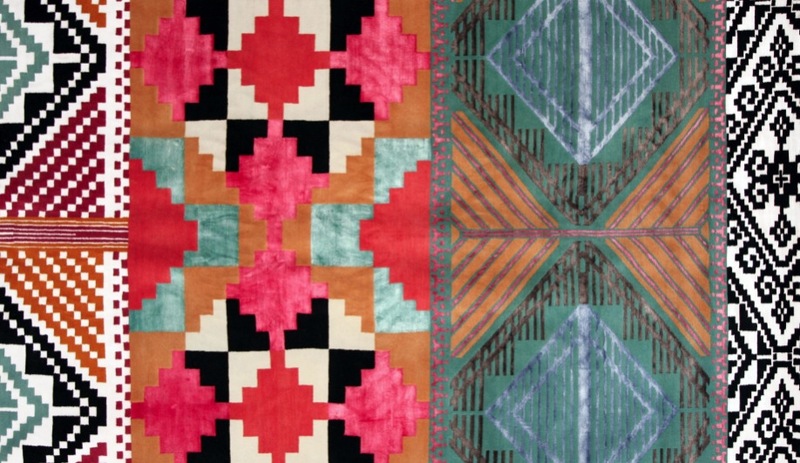 The Belgian duo Studio Job took the inspiration for the bizarre imagery that decorates their hand-knotted Nepalese-wool carpet from a furniture collection, in Indian rosewood and stained glass and embellished with religious motifs, that they created three years ago. 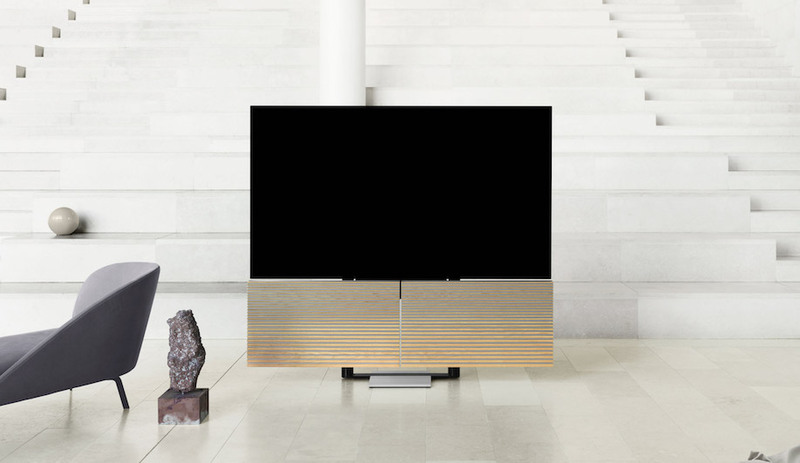 It comes in a standard size of 3.5 by 2.5 metres, and can be specified in other dimensions. Paris architecture firm Beckmann N’Thépé devised these wool-and-silk carpet tiles to stand alone or fit together like a jigsaw puzzle to form a larger floor covering. Inspired by the city grid, the tiles come in brown and cream. 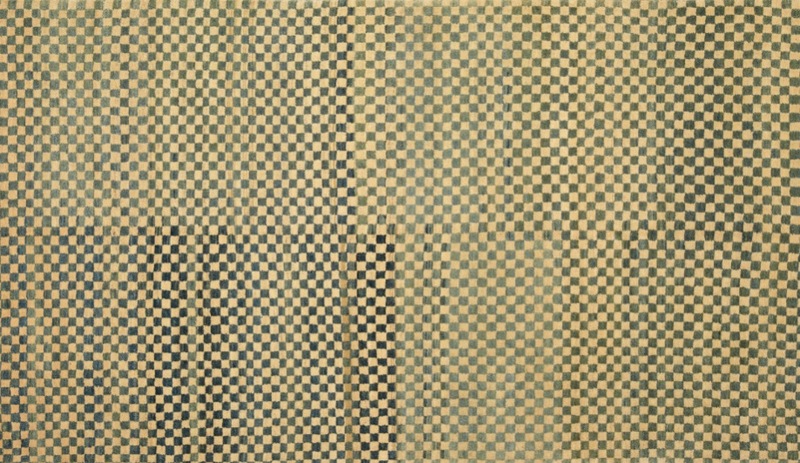 This one-by-two-metre wool carpet offers a contemporary take on a vintage checkerboard pattern. Handmade in Nepal, it can be customized to your colour palette and size requirements. 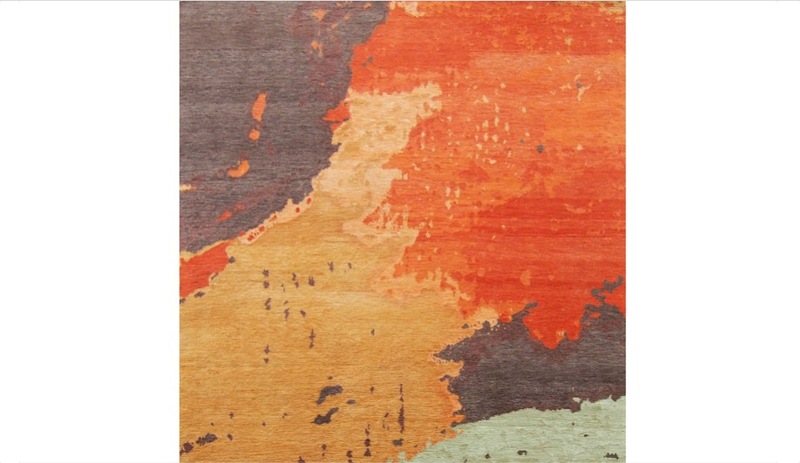 To create the abstract prints on this carpet collection, Barcelona’s Harry&Camila zoomed in on the details in impressionist paintings and experimented with colour treatments such as sepia and white shade. 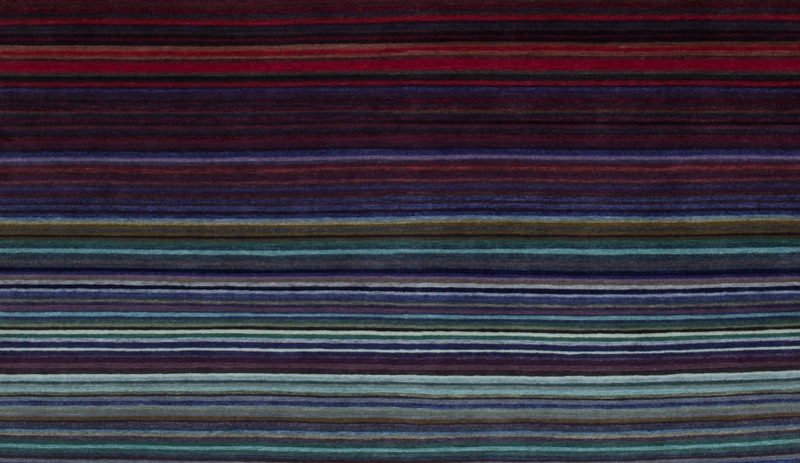 Handmade in Nepal, the Tibetan wool-and-silk rugs come in seven vibrant colourways, and measure 2.2 by 2.8 metres. Milton Glaser, the New York artist behind the iconic “I love NY” logo, is also an avid collector of African artifacts. 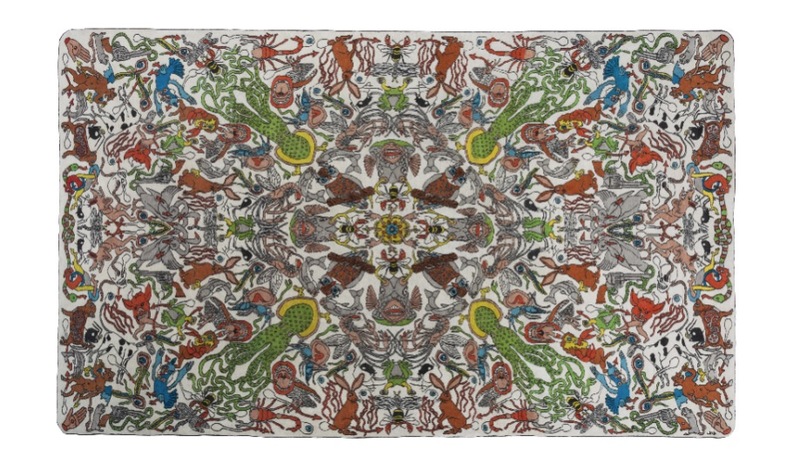 He designed this textured, graphic rug that puts a modern spin on tribal motifs. A second similar pattern embeds a strategically shaded portrait of William Shakespeare. Measuring just over six metres long, Ghostland forms part of the colourfully striped Neverland collection by Berlin’s Franziska & Thorsten Reuber. 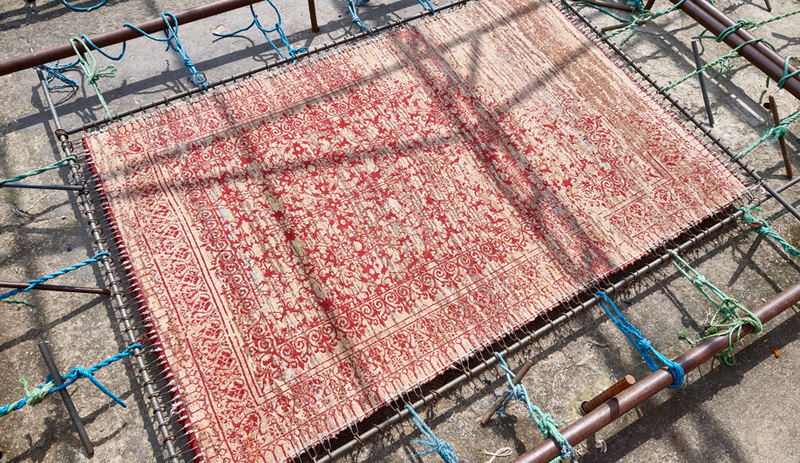 The studio employs traditional Tibetan hand-weaving techniques, which means one rug can take up to three months to make. 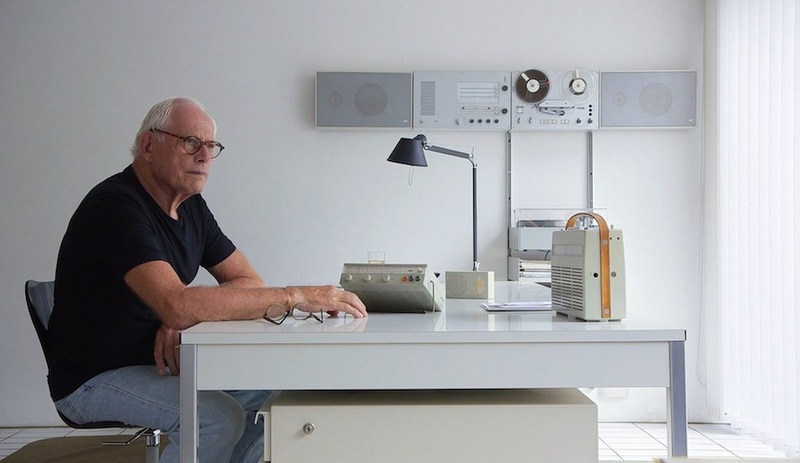 German furniture manufacturer e15 invited Berlin artist Carsten Fock to collaborate on a collection of hand-knotted, fine wool carpets animated by his notebook sketches. 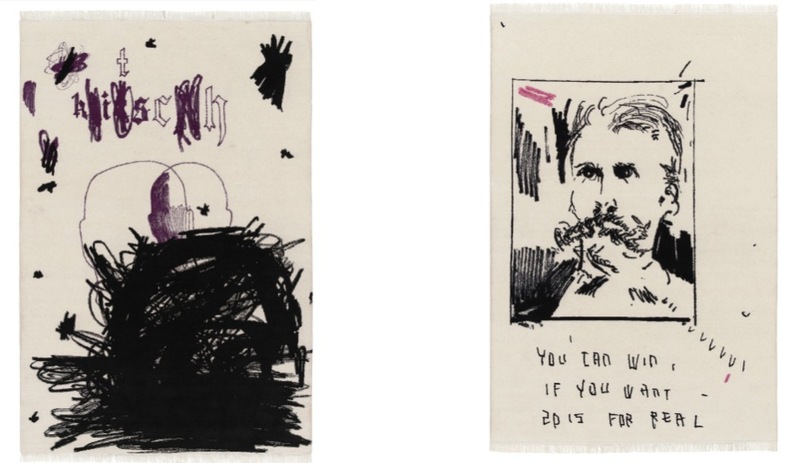 Available in a limited edition of seven carpets per artwork, each is signed and numbered by the artist. 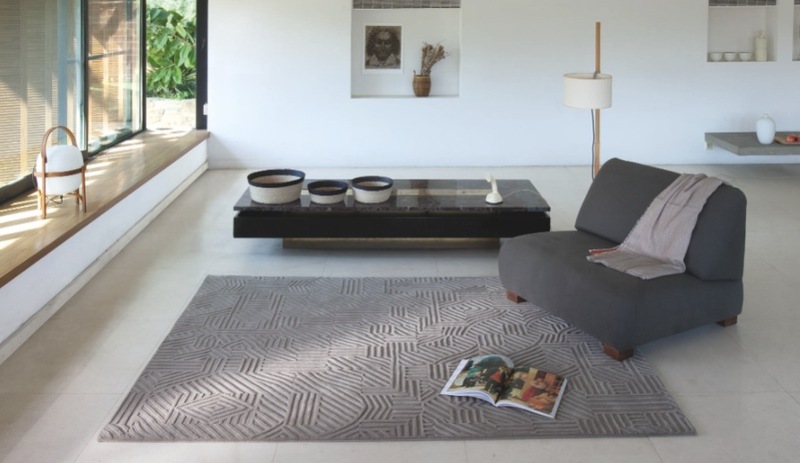 Made of wool and silk, this hand-knotted carpet by Inigo Elizalde is inspired by traditional Filipino textile patterns. The New York rug company is part of GoodWeave, which certifies carpet manufacturers that do not use child labour and offers educational opportunities to children in South Asia. For more great floor coverings, including carpet tile and broadloom, see our September issue, now on newsstands.